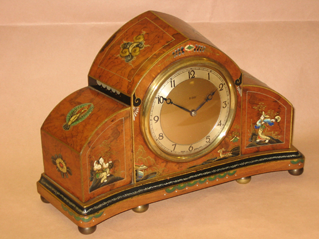 Would you like to restore that old clock you have sitting at home? Any antique is a thing of beauty, to be preserved and cherished. Clocks are no different, and a working antique clock is wonderful. It’s sad when clocks that have been ticking for tens if not hundreds of years fall into dis-repair. I strive to revive these long silent clocks and make them tick once again. I am fully equipped to restore every element of the clock piece by piece. Why use Paul Wrighton Clock Repair for your restoration? 25 years’ experience restoring clocks. Access to specialist master craftsmen for specific tasks. Expert antique clock restoration in Whitstable. Parts and materials are carefully sourced or made ensuring that any repairs and replacement parts are fully in keeping with the original as closely as is practical.